Once home to rows of derelict warehouses, Asheville's "South Slope" now pulses with new condos, shops and restaurants, but beer is the real reason people flock here. Start in the morning, or there's no way to complete this walk in one day. From the center of downtown, walk west on Patton Avenue, eventually heading downhill on Coxe. Stroll five blocks south to Tasty Beverage Company to peruse the range of packaged beer on offer and try a few samples from the taps to rouse the palate. 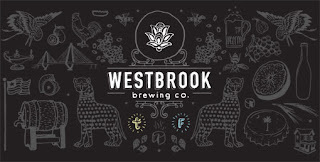 Next, get in line across the street at Wicked Weed's Funkatorium a few minutes before opening to insure a prime seat at the bar to taste a massive range of sour, funky, fruited and barrel-aged brews. 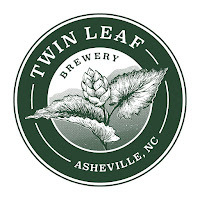 Just across Coxe from Wicked Weed, Twin Leaf Brewery offers a pleasant atmosphere in which to sip through an extensive assortment of classic beer styles. Nothing beats pizza on a pub crawl, so walk a little over a block north to check out Asheville Brewing Company and pair a slice with one of their perennial favorite house brews. Around the corner sits Hi-Wire Brewing, where a flight of solid lagers, European styles and barrel-aged tart beers is in order. 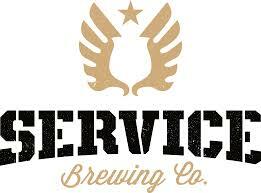 Also pop next door to Ben's Tune Up to experience their regional craft beer selection and house-made sakes. 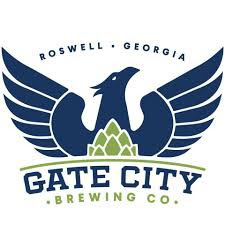 Head back south on Coxe for visits to the gorgeous Catawba Brewing tasting room and the eccentric Burial Beer Company for a flight labeled with a coroner's toe tag. Next, compare the fun, crusty, original Green Man Brewing facility with the shiny, multi-story, new brewery just a few doors down. 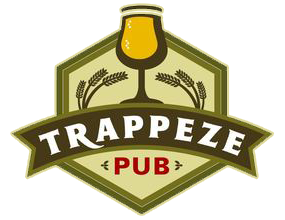 Lastly, hike back uphill to the corner of Coxe and Patton for a cask ale at Jack of the Wood pub and late night snacks at Thirsty Monk where craft beer flows upstairs and classic Belgian ales reign in the cellar. Nashville's got country music, spicy hot chicken and marvelous craft beer. After lunch, start at Hops & Craft near the corner of 12th Avenue South and Pine Street for a warm-up beer, then walk east to Nashville's pioneering Yazoo Brewing for a tour and a couple of flights of brewer/owner Linus Hall's solid, popular recipes. Just for a change of pace, continue walking east to Pour House Burgers, Bourbon & Brews to try a dram from the expansive whisky list before hitting Jackalope Brewing just a block or so north. Standouts from Jackalope's talented lady brewers include Leghorn Rye IPA, Thunder Ann American Pale and Snowman Mocha Stout. About two blocks east from Jackalope, across the train tracks, sits Tennessee Brew Works - a two-story craft brewery with outstanding ales and lagers, a sparkling brewhouse, live music and yummy small plates. Finally, meander a few blocks north to the casual and cozy Czann's Brewing to chat with loyal locals and meet brewer/owner Ken Rebman, who always seems to be there. Board a rickety streetcar and take the scenic ride through the lush Garden District down St. Charles Avenue all the way past Audubon Park. When the streetcar makes a sharp right on Carrollton Avenue, hop off and duck into the classic Cooter Brown's Tavern to check out the "Snooty Cooter" back bar that's loaded with craft beer. For sustenance for the day, munch on fresh oysters, boudin balls or a savory shrimp po-boy. Jump on the streetcar, heading back toward downtown, and exit at Louisiana Avenue. 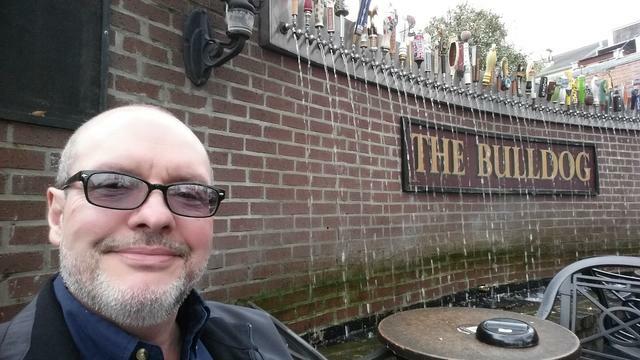 Walk five blocks south and two blocks east to The Bulldog pub on Magazine Street where patrons sit in the outdoor patio with a local beer and relax to the sounds of the decorative beer tap fountains. Want a beer to go? Nab a plastic cup before leaving, as it's perfectly legal (and encouraged) to walk the streets of New Orleans with a drink. Turn right out of Bulldog and walk down Magazine to take a right at Seventh Street. After about six blocks, look for NOLA Brewing that offers enjoyable tours and an impressive, two-story taproom with upstairs balcony. NOLA really jump-started craft beer in the city a few years ago. Head back north on Seventh Street to catch another streetcar toward downtown and disembark at the Euterpe stop for a bite and a mind-blowing beer menu at Avenue Pub - THE 24-hour Big Easy craft beer destination run with love by beer fanatic Polly Watts. 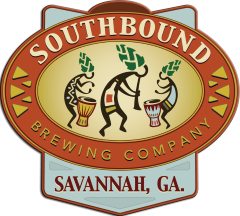 Before or after Avenue Pub, seek out beer flights at Courtyard Brewery and the new Urban South Brewery - both just a few blocks away by foot or taxi. Check brewery opening hours to decide which to visit first. For this walk, be sure to visit on a Saturday and start with an early lunch and beer sampler at the neighborhood's much-loved Twain's Brewpub & Billiards, then summon a taxi or make the 30 minute walk on East College Avenue toward Avondale Estates to My Parents' Basement to enjoy a pint and poke around the pub's comic book shop. It's where craft beer geeks and comic book nerds collide. When exiting My Parents' Basement, take a right to head back toward Decatur, turn right on Maple Street and look for Wild Heaven Craft Beers where brewer Eric Johnson crafts a range of phenomenal and unconventional ales. From Wild Heaven, walk west on East College Avenue for more beer sampler gratification at the laid-back Blue Tarp Brewing and the beautiful, Belgian-themed Three Taverns Craft Brewery before ending the night with pints and plates in downtown Decatur at Brick Store Pub, Square Pub and/or Leon's Full Service gastropub. Start the morning in downtown St. Petersburg, Florida soaking in avant-garde art at The Salvador Dalí Museum before seeking out lunch at the amazing Z Grille just north of the gallery. Now the brewery visits begin! 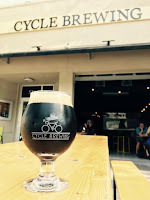 Walk west on Central Avenue North or 1st Avenue North to find Cycle Brewing and St. Pete Brewing for succulent local brews, then continue west about six blocks to the award-winning Green Bench Brewing for an exceptional range of hoppy, dark and sour ales. Beer sampler trays are pouring a bit farther west at Pinellas Ale Works and Cage Brewing - just across from each other. Next, trek three blocks to 2nd Avenue South for 3 Daughters Brewing, where the idea of making beer began when the owners, who are former chefs, brewed an original beer for their fish batter. Today, 3 Daughters' tasting room offers 14 taps of outstanding ales and lagers. Finish the night at the Urban Comfort Restaurant & Brewery location that once housed a gas station along St. Pete's "Automotive Alley." Pair a house-made brew with fried green tomatoes, "hott" chicken or meatloaf with smoked gouda and bacon gravy. 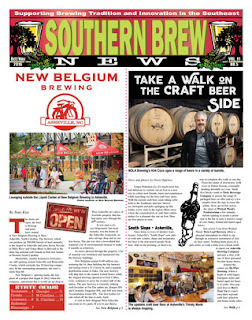 New breweries are springing up across the Southeast, struggling to meet demand for booming, thirsty craft beer markets from Louisiana to North Carolina, and creative southeastern brewers are producing world-class, award-winning products. We've tackled the difficult task of choosing only one sumptuous craft beer from each southeastern state to pair with various winter holiday fare. Try these pairings, or come up with new matches to enjoy with friends and family during this festive time of year. 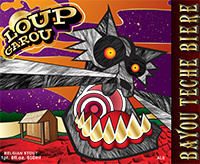 Loup Garou from Louisiana's Bayou Teche Brewing features a scary label with a swamp werewolf, but this rich, 8% ABV Belgian-style imperial stout that's aged with licorice root in whiskey barrels makes a splendid pairing for holiday sweets. This limited edition winter seasonal ale is brewed with malts that include crystal, chocolate and rye, and the beer is infused with French hops and brown sugar, providing an impressive depth of flavors that meld well with all types of holiday spiced desserts like gingerbread, carrot cake, rum cake or chewy molasses cookies. Started in 2013 with the goal of bringing amazing craft beers to Mississippi, Southern Prohibition Brewing sits in a downtown Hattiesburg space that was once home to a furniture showroom. 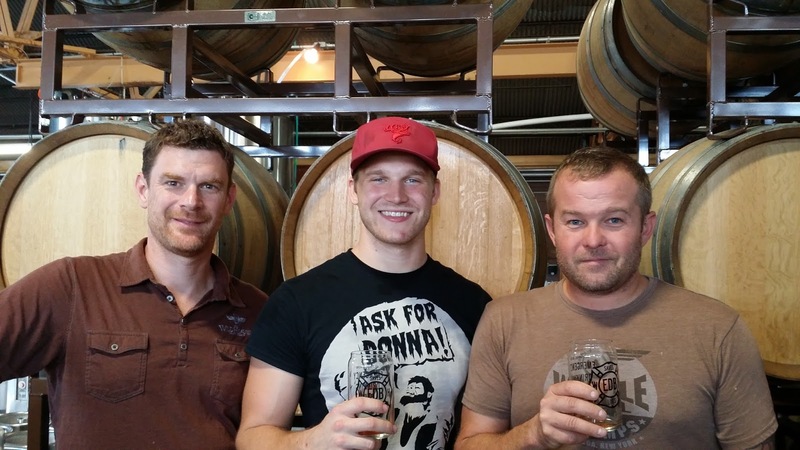 Now the owners show off popular brews such as Mississippi Fire Ant - an imperial red ale matured in oak barrels. 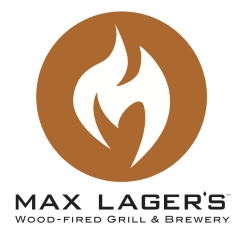 This ale boasts an intense, dark ruby color, flavorful malt complexity and elegant, earthy, spicy hop aroma and flavor. Folks will welcome this "Fire Ant" into their holiday kitchens, as the beer's biscuity, toasty, dark caramel tones complement the caramelized character of roast beef or pork. 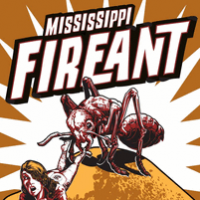 Mississippi Fire Ant scored a silver medal at the 2014 Chicago Festival of Wood & Barrel-aged Beers. Head to the Nations Neighborhood of West Nashville to visit the new 28,000 square feet tasting room of Turtle Anarchy Brewing Company. Turtle Anarchy's Permafrost ranks as a splendid brown ale loaded with spice character from additions of ginger, clove, cinnamon and nutmeg. With 6.2% ABV and 20 IBUs, this malty brew offers notes of roasted nuts, treacle, caramel and raisin toast that go extremely well with rich holiday fare like baked sweet potatoes topped with syrup and marshmallows. 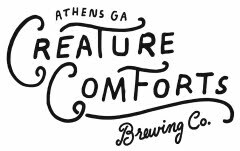 Back in 2008, the founders of Good People Brewing quit their day jobs to take on the arduous goal of pioneering a craft brewery in Birmingham, Alabama. Known to regular Good People drinkers as "C-O-S," the brewery's popular Coffee Oatmeal Stout contains 5.7% ABV, 51 IBUs, five specialty malts, oats, smooth Octane Coffee, authentic British ale yeast and Willamette and Columbus hops. 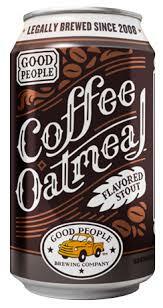 Expect a rich, slightly sweet coffee taste, viscous mouthfeel from the oats, balancing hops and fruity esters. Any holiday grub that goes down well with a cup of coffee will complement this brew. Try fruit pies, scones or aged gouda or warm brie and crackers. 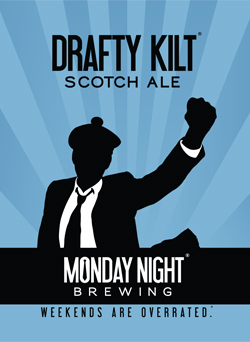 The guys at Atlanta's Monday Night Brewing stashed some Drafty Kilt Scottish-style strong ale in Kentucky bourbon barrels for a few months and then sent some bottles off to the 2014 Great American Beer Festival, where the beer took the coveted gold medal in the barrel-aged category. Bourbon Barrel Drafty Kilt is filled with notes of vanilla, charred oak tannins, toffee, burnt sugar, dark fruit, cocoa and cherry-wood smoked malt. This Christmas, drink this warming, malty ale with anything and everything chocolate. 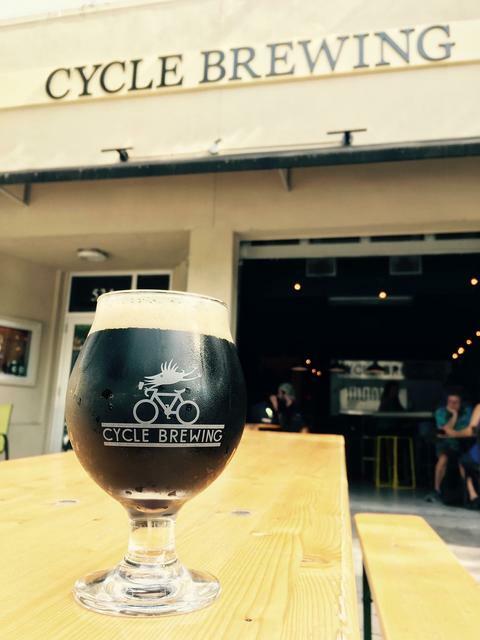 At Christmastime in sunny Tampa, the brewers at Cigar City will most likely still be in shorts, but this doesn't stop them from churning out Cigar City Sugar Plum - a delightful winter seasonal brown ale that's accentuated with rose hips, cinnamon, ginger, chamomile, chicory and carob. The nutty, malty profile provides hints of bitter chocolate and roasted malts, and the full body forms the perfect canvas for esters and spices. Grab that fruit cake that's being used as a door-stop and try a slice with a snifter of Sugar Plum, or sip the beer with chestnuts roasted on a open fire. Who says that hops don't go with Christmas? 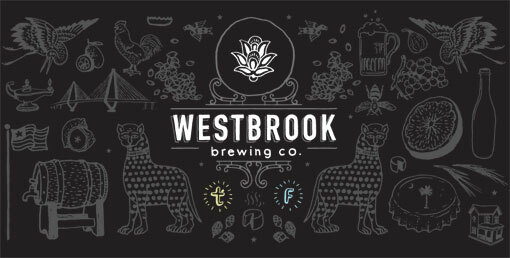 Westbrook Brewing in Mount Pleasant, South Carolina gets off on experimenting with unusual ingredients, but Shane's Big DIPA ranks as a 9.6% ABV imperial IPA packed with 80 IBUs and a mammoth dose of flavoring hops. This ale brings a glow to the cheeks and a warmth to the tummy, while providing a conversation-provoking libation to serve with Parmigiano-Reggiano or blue cheeses with a dollop of holiday jam. Also pair with roast duck, ham and prime rib. 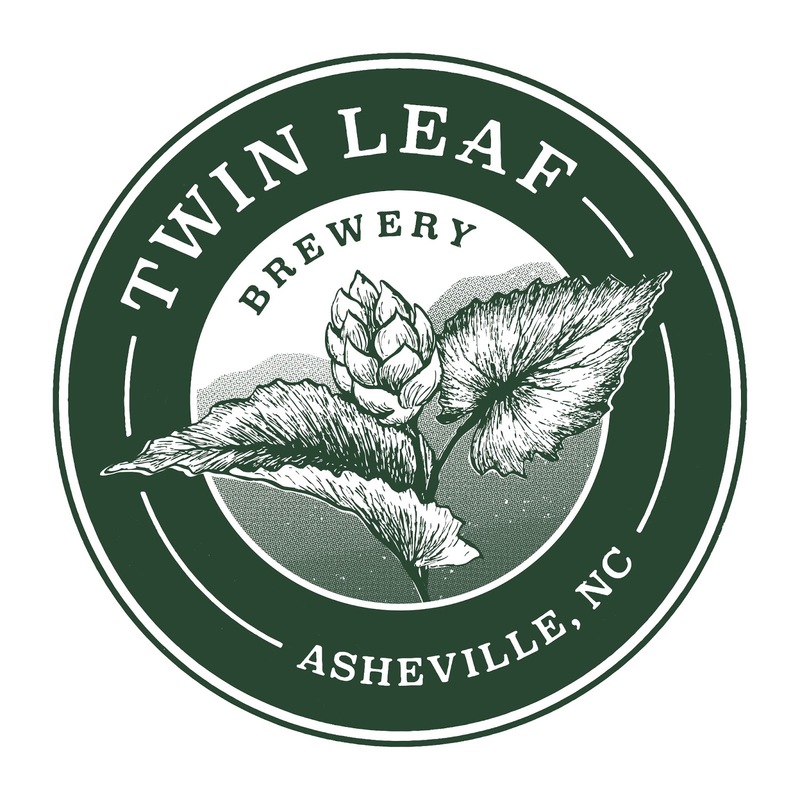 With their wildly adored sour ales and award-winning hoppy brews, Asheville's Wicked Weed can't seem to make enough beer these days. 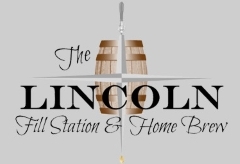 Visitors can check out the brewpub restaurant, cellar bar or separate Funkatorium barrel warehouse and taproom a few blocks away. Wicked Weed's orange-hued XLIX Maple Sweet Potato Saison seems quite suited for the winter season. Notes of spice, maple syrup, fresh fruits, local sweet potatoes, mild acidity and Belgian character form a perfect marriage with the beer's luxurious mouthfeel, and this specialty saison would be heaven alongside roast turkey with sage dressing, Cornish game hen and even caviar on melba toast.